CBC's 15,000 square-foot plant in Toa Baja. CBC’s 15,000 square-foot plant in Toa Baja. After marking 30 years in Puerto Rico Toa Baja-based Challenger Brass & Copper (CBC) recently obtained the ISO 9001: 2008 certification for meeting the highest levels of quality and service established by the International Organization for Standardization (ISO). Quality Services International (QSI) awarded the certification to the company dedicated to the manufacture, sale and distribution of copper, brass, bronze, stainless steel and aluminum products. 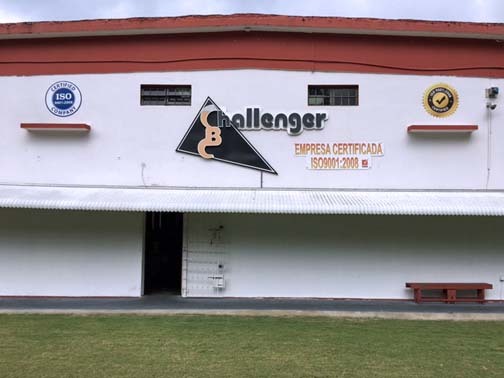 “Through the certification, Challenger Brass & Copper ensures operational efficiency through the application of best practices based on internationally recognized standards practices, we reaffirm our consistency and compliance with quality, and strengthen our processes to satisfy our customers,” said Abimael Padilla-Negron, general manager of CBC in Puerto Rico, and who also directs the Mexican sister company, Challenger Fabrication and Distribution, located in San Luis Potosí. Since 2013, CBC Puerto Rico has managed to grow through a transformation strategy in which it expanded its offerings to meet the demand of the electronics industry, construction, public agencies, toolmakers and die, hardware and blacksmiths, among other sectors. At the end of fiscal year 2017, the company projects $12 million in sales representing a growth of 33.3 percent versus last year. CBC has a staff of 15 employees. “Our growth not only responds to expanding our range of products and services in Puerto Rico for all sectors we serve, but to strengthening our sales department with integration specialists who work as facilitators to serve small and medium-sized enterprises (SMEs), as well as the acquisition of new contracts,” Padilla-Negrón said. He also noted that the company is exporting products to the Dominican Republic and that during the first half of 2017 it will establish a hub, as well as in Florida. For the next two years, with the support of the Mexican CBC sister plant, it will begin operations in Costa Rica and Panama. Hey Buddy!, I found this information for you: "Challenger Brass & Copper takes high quality award". Here is the website link: https://newsismybusiness.com/challenger-copper-quality/. Thank you.